If you’re experiencing varicose veins or want to learn more about this condition, keep reading for answers to varicose veins frequently asked questions. Varicose veins are a form of venous insufficiency that often present as blue and purple veins in the legs. They are the result of diseased or damaged valves that allow blood to flow back and pool in lower extremities. 2. Will Insurance Cover Varicose Vein Treatment? In many cases, insurance will cover the treatment of varicose veins. However, it may be necessary to try other more conservative approaches, such as compression stockings, prior to gaining approval for a laser-based procedure. Comparatively, sclerotherapy for spider veins is typically considered cosmetic, and out-of-pocket payment is required. 3. What Happens If You Don’t Treat Varicose Veins? It’s important to see a vein specialist for proper diagnosis of varicose veins and to rule out any acute medical issues. That being said, varicose veins typically become worse over time, and your provider will develop a treatment plan the best-suits your needs and goals. 4. What Is a Venous Duplex Ultrasound? A venous duplex ultrasound is a non-invasive imaging technology that uses reflected sound waves to determine blood flow in veins. It is used as a diagnostic tool prior to varicose vein treatment. 5. When Can Patients See Results From Varicose Vein Treatment? After varicose vein treatment, patients can typically note improvement in one-to-two weeks. 6. Are Additional Treatments Necessary? Vein Center has an extremely high success rate in eliminating varicose veins, and the likelihood of recurrence is low. Nevertheless, treatment only targets certain veins and doesn’t prevent varicose veins from developing in another part of the leg later in life. 7. Does Varicose Vein Treatment Have Any Downtime? 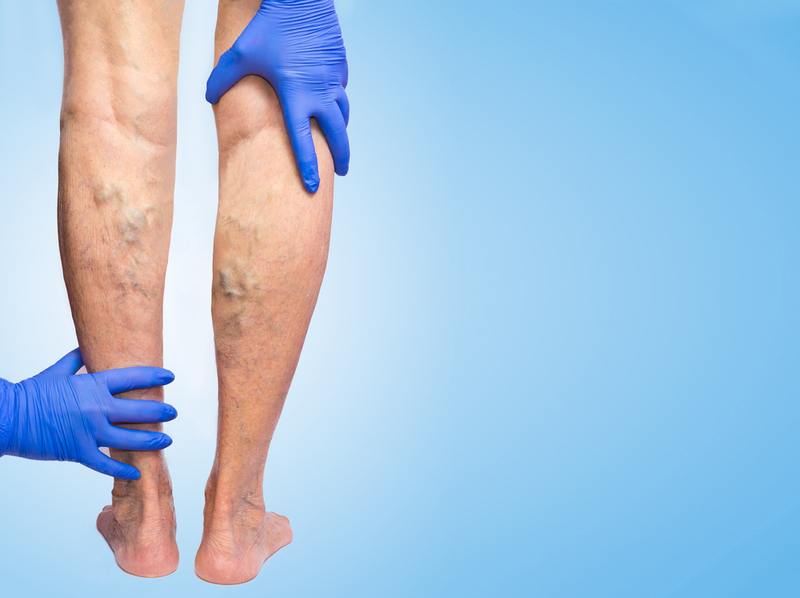 Varicose vein treatment is a quick, painless, and zero-downtime procedure. Patients are free to return to work and normal activities the next day. 8. Are There Any Side Effects of Treatment? Treatment side effects are mild and temporary and may include minor bruising and swelling. Serious issues are very rare and occur in less than 1 percent of cases. 9. Can Varicose Veins Be Prevented? Varicose veins are often the result of genetics, pregnancy, and age, and may be unavoidable. However, losing weight if you are overweight or obese, avoiding prolonged periods of sitting or standing, and following a low sodium diet may help reduce your risk or symptoms of varicose veins. If you are considering treatment for varicose veins or have additional questions, please call our office today to schedule a comprehensive consultation with one of our vein specialists.